Assisted Living is a place that provides personal care in a residential setting for people who are unable to live independently and need assistance with daily activities, such as bathing, dressing, eating and medication management. Services include state-regulated supportive care and a 24/7 nursing staff. 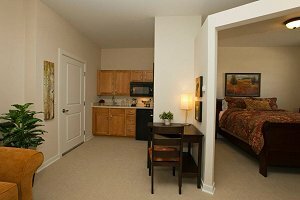 We have spacious one and two-bedroom models for living, enjoying a great book, or just dining. What is it like living at Deer Trail Assisted Living? In a phrase you could say it is just like being home but with the assistance you need when you need it. Living at Deer Trail is a celebration of life, reminiscing with friends, meeting new companions and spending time with family. It is a place that provides personal care in a residential setting for people who are unable to living independently and need assistance with daily living activities, such as bathing, dressing, eating, and medication management. Within the community you will enjoy three prepared meals daily and snacks along with housekeeping, fun activities, professional staff supervision, medical support, transportation and much more. With an on-staff chef as part of the Deer Trail community, residents enjoy cuisine that they’d be proud to have served out of their own kitchens. Your monthly rent covers a lot more than just an apartment! If you think about it, assisted living at Deer Trail is one of the more affordable alternatives for people 62 and better seeking a little help in a residential setting. Residents will need to bring their favorite furniture to furnish and personalize their apartments. 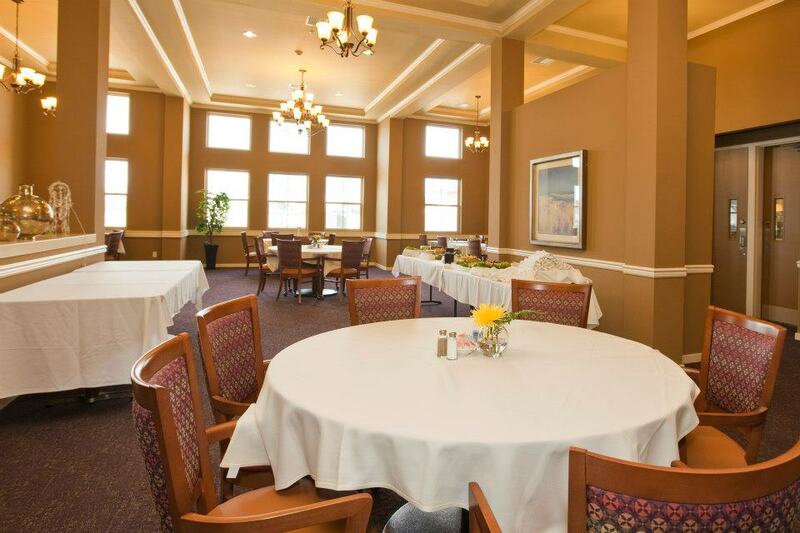 From inviting entryways to the spacious living rooms to cozy bedrooms, all assisted living and memory care apartments offer flowing designs with plenty of room to spread out and get comfortable. 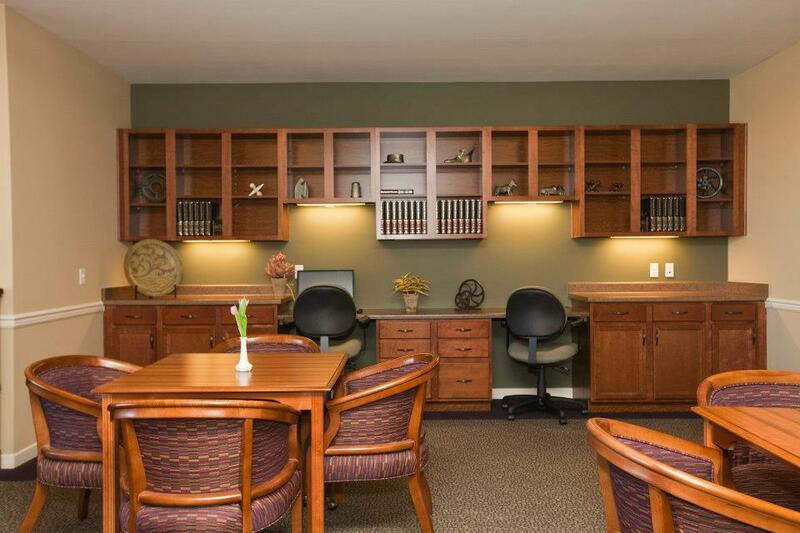 Enjoy social programs and events arranged by the Life Enrichment Director in our game room. All apartments offer a large bathroom with comfort-height toilet, walk-in shower and easy-access doors.ing designs with plenty of room to spread out and get comfortable.